You read that right. Fritz Haber in HSR is rolling out black ice cream that would make even Wednesday from The Addams Family weep with joy. 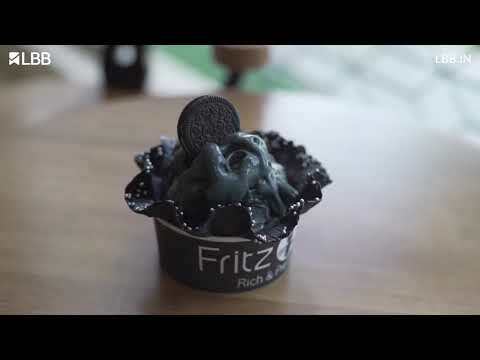 At the monochrome lab of Fritz Haber, the ice cream scientists have found a way to bring activated charcoal and vanilla ice cream together to create something that’s dark, yummy, and definitely goth-friendly. Dubbed the Black Magic, this black ice cream is available as gloopy scoops, and is served in an equally black waffle bowl. White chocolate chips and sprinkles add colour to this otherwise goth-looking ice cream. We are not sure if Wednesday Addams would approve of the colours, but we sure do. You see, the colours make it a lot more Instagram-friendly. Oh, and guys, after a couple of scoops, stick out your tongue to show off your black tongue. Skipping this ice cream would be a grave mistake, we say. Liquid nitrogen is extensively used here and the Smoke Shells are an indication of that. Chocolate-filled wafers are dipped in -321 F liquid nitrogen before being served to you. Pop one in and see yourself become like one of Daenerys Targaryen’s dragons minus the fire but plenty of smoke coming out of your mouth. Apart from the show-stopper, Black Magic, you can check out flavours such as Haber Bomb, Nutella Fever, Spicy Guava, and Walk On Red Carpet. The Haber Bomb is vanilla ice cream meets a chocolate cake and sauce creation while the Nutella Fever is for anyone who loves Nutella. The guava is part of the fruit-flavoured ice cream menu while the Walk On Red Carpet is a red velvet cake with chocolate and cream cheese. See, there’s plenty for everyone.